Bonjour again! This is going to be a long post but it will be worth it! 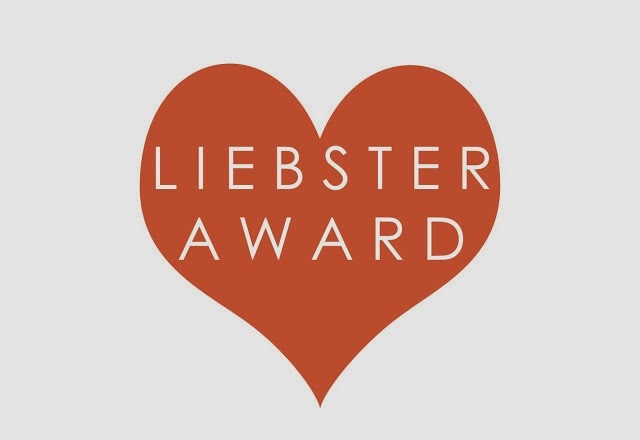 One of my pet hates (apart from these ones I talked about in my 11 questions for the Liebster Award) is having a really shiny face day to day. Don't get me wrong, I love the illuminated slightly shimmery finish everybody else seems to be able to achieve, but no matter how much Benefit High Beam I use, or how much illuminating primer I buy, I still look like I have run 800m and not bothered to fix my face afterwards. So, now I love having a matte base whenever I do my make up, whether I'm going out or day-to-day. I have spent ages perfecting this and trying a thousand and one products to achieve a lasting matte finish, and I think I have just about got it. This process works for me, but don't take it as gospel! Just thought I'd share my ideas! My first tip that I must stress is a matte finish does not begin and end with foundation and powder. No way. Clay face masks are your saviour when it comes to matte skin, as are squeaky clean faces! So use a decent facial cleanser and follow with a clay based face mask a couple of times a week to clear impurities, excess oil and prevent future blemishes. Always use a primer. It helps your make up to stay on longer and by buying the right one it can help prevent shine and even out your skin tone. 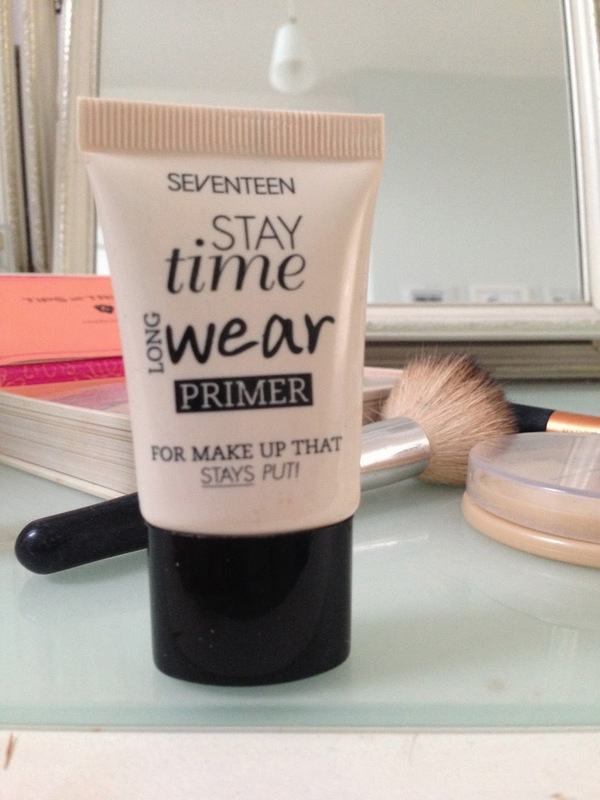 I love 17 Stay Time Primer or POREfessional and Stay Flawless Primers, both by Benefit. Now I have spent most of my days trying to find a foundation that lasts and gives a lovely even finish that covers everything I need to cover and stays matte. There are three matte finish foundations I have tried and LOVED recently. The first is 17's Stay Matte foundation, the cheapest of the three but by no means any worse. I have recommended this and recommended it again to everyone I know. Their make-up in the past year or so has got so much better, and I have noticed them trying to match new products of premium brands which is a really clever idea as the brand is really good for those on a budget. The foundation does exactly what it says and is just all round brilliant. I am on my third bottle I think, and for someone who switches foundations with every outfit, that's a winner in my book. The second is Rimmel's newest foundation, Stay Matte Liquid Mousse. 'Mousse foundations dry my face out.' WELL THIS FOUNDATION DOESN'T. Because it's a *Liquid* mousse this seems to make all the difference. Who knew? 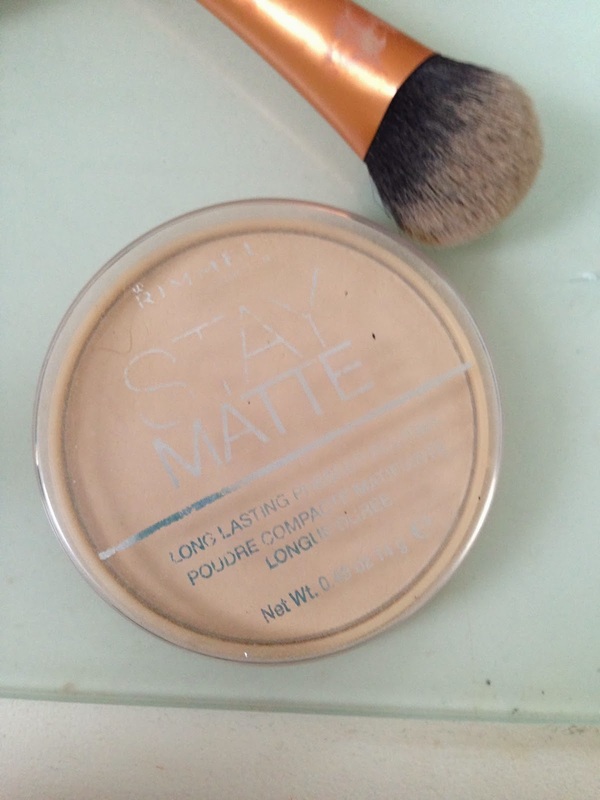 Stays matte all day and goes with my desert island product: Rimmel Stay Matte Powder. Fab-las. 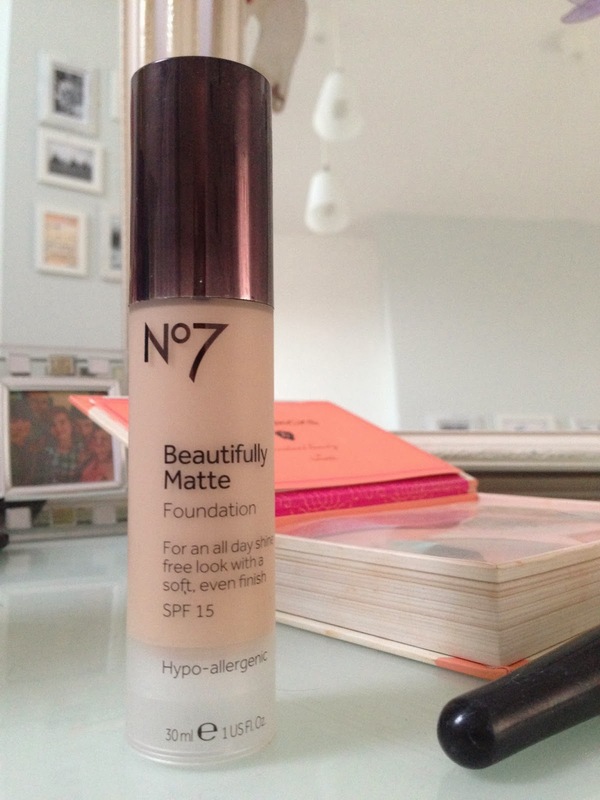 The third and final foundation, also my most recent purchase is No7's Stay Matte foundation. I bought this because as we were going into winter I noticed all of my already ivory and porcelain shades of foundation were getting too orange and pink for my ever pale skin tone (Curses of a strawberry blonde welsh woman) and I knew that No7 did a shade that, let's not beat around the bush here, was practically paper white. It is called Calico and it is the closest shade I have ever bought to my natural skin tone. The foundation itself is great. Stays in place all day and provides a natural looking matte finish. It's a really good foundation. Applying foundation with a brush or sponge always helps to stop shine as applying with your fingers means you're transferring oil onto your face from your hands. I love Real Techniques stippling foundation brush and the Model's Own foundation egg sponge. These help to create a flawless airbrush finish. So once you've applied your primer and matte foundation, it's time to add concealer. Then go crazy with your finishing powder with a big brush. Or don't. You don't want to look like, in the words of my cousin recently in Dublin airport, 'like you've dipped your face in baby powder'. My one product I will NEVER stop using is Rimmel's Stay Matte powder in Translucent, but I also like No7's Translucent Loose Powder and Maybelliene's new 24hr SuperStay Powder. 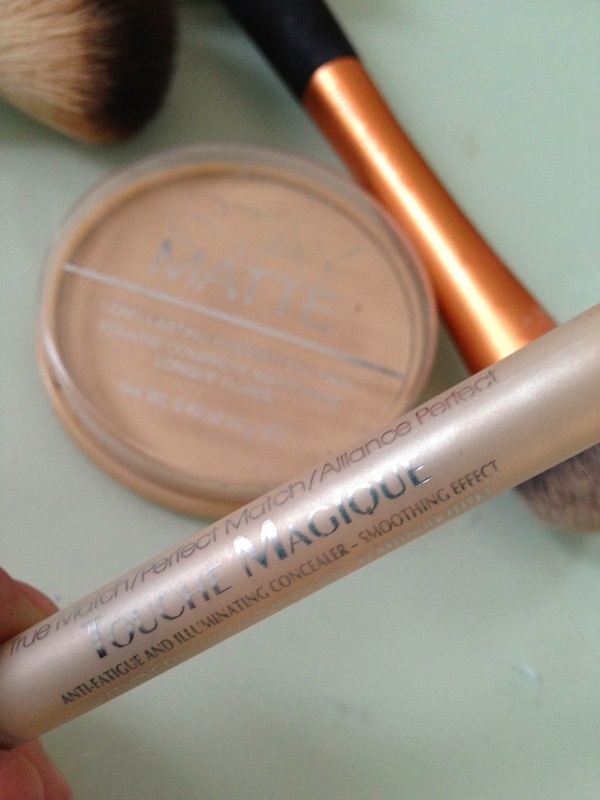 You really need to use it to set your make up and absorb oil to really achieve a matte look. Well done for making it all the way to the end! I hope I have given some useful tips, and I'd love to hear what products you use to achieve a matte look which stays put all day.